I began my banking career in 1986, working for several local banks before joining the staff of Security State Bank of Marine in January, 1998. Since that time I have provided customer service in the areas of mortgage financing, consumer loans, new accounts, IRAs and all forms of teller transactions. 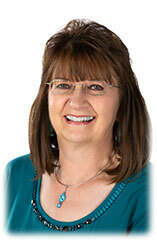 I am a Mortgage Loan Officer at the Chisago Lakes branch. My family and I live near Sunrise, MN.